While the WSU medical school will often be pointed to as a major staple of his tenure – and rightfully so – it illustrates his vision for higher education in Washington, and that is that every Washingtonian should have access to higher education in order to open doors for success, prosperity and a healthy state. When the economy went sour, Floyd became the state’s leading advocate for affordable higher education. He advocated for tuition prices to be reeled in. He cut his salary by $100,000 for two years, being a leader when cuts were happening all over the place. He publicly worried that citizens would be priced out of higher education. He knew that creating barriers to college hurt a person’s future, and it hurts the state as a whole. Increasing enrollment (access) – especially for the freshman class – is a highlight of Floyd’s tenure. Access to higher education is important to Floyd. His own past is an example of how just about anybody from any background can achieve success. WSU’s medical school model is built around attracting students from in-state and those in rural and underserved areas. Giving those students access to medical school will help our state’s economy and health. One of his last visits to our campus was to celebrate our med school legislation passage, where he received a well-deserved standing ovation. That moment was special for Spokane, special for WSU and special for the state. It signaled an expansion of medical school opportunities in our state, all because President Floyd believed in increasing access to higher education for all Washingtonians. WSU has created the Dr. Elson S. Floyd Medical Education Founders Fund in his honor. The fund will help support the creation of WSU’s medical school in Spokane. Donations can be made here. 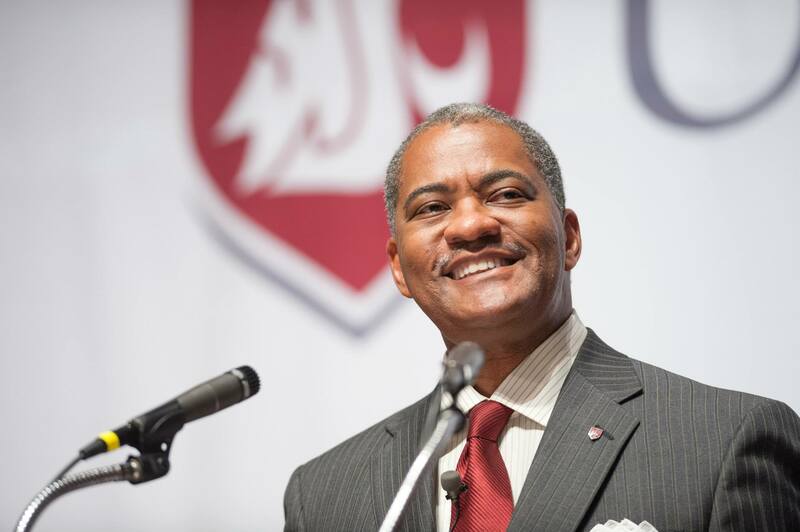 Note: There will be a ‘Celebration of Life’ when students come back to WSU on Aug. 26 at Beasley Coliseum in Pullman, Wash. to celebrate the life of President Floyd.